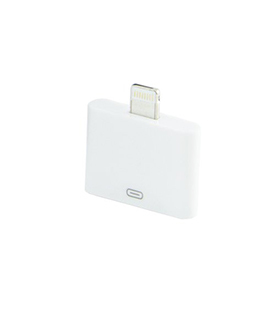 We recommend (*) Apple Lightning to 30-Pin Adapter (Mfr P/N: MD823ZM) from Apple for $20.75 as a suitable alternative. We sell this item brand new for $20.75, view our listing. Apple's Lightning to 30-Pin Dock Adapter enables you to connect your older accessories with 30-pin cables to the Lightning port found on most modern Apple devices. This adapter supports USB audio, analog audio output, syncing and charging. Does not support video output.